Rafael Palacios is the brother of Spain’s leading winemaker and Berry Bros. & Rudd stalwart Alvaro Palacios. It should come as no surprise that the family genius, enthusiasm and attention to detail is also evidenced in Rafael’s wines. 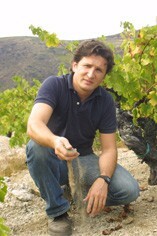 Whereas the Palacios family made its name in Rioja, and Alvaro has subsequently achieved world-wide recognition for his vineyards in the appellation of Priorat and (latterly) Bierzo, Rafael has headed to the green north-west Atlantic-influenced vines of the DO of Valdeorras, which is located windward of Rueda, not too far to the north of the Portuguese border and the River Miño. 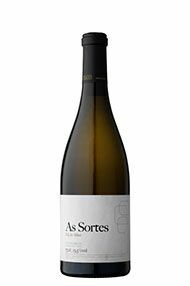 The jewel here is the white variety Godello, which is now achieving recognition similar to that latterly afforded to Albarino and Verdejo. Sandy soils with granite substratum allied to historical terraced vineyards add up to hard work, small yields and a concomitant high level of quality. Rafa works with over 20 tiny parcels scattered around the region, with vines ranging up to almost 100 years in age. 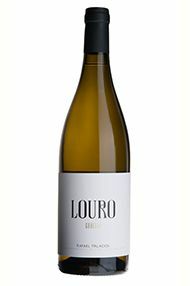 He currently makes two wines: Louro do Bolo, his lighter, entry-level expression, and As Sortes, which offers a step up in quality. Both are blindingly delicious, textural whites.